George Howard, the eldest son of Francis Howard, 6th Earl of Carlisle, was born on 18th April, 1802. He was educated at Eton and Christ Church, Oxford. On the death of his grandfather in September 1825 he was granted the courtesy title, Lord Morpeth. In 1826, the Earl of Carlisle arranged for his son to be elected for the constituency of Morpeth, one of the boroughs under his control. Lord Morpeth was a supporter of the Whigs and took a particular interest in removing all religious forms of discrimination. In his maiden speech he seconded Sir Francis Burdett in his attempt to bring an end to Roman Catholic disabilities. The following year he was active in the campaign to repeal Jewish disabilities. A supporter of parliamentary reform, Lord Morpeth left the pocket borough of Morpeth and became one of the Whig candidates for Yorkshire. In the general election in August 1830 Lord Morpeth headed the poll. 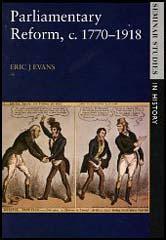 In the debate on the Reform Act in March 1831 he called the proposed measure "a safe, wise, honest, and glorious measure'. In April 1835 Lord Melbourne appointed Lord Morpeth as his chief secretary for Ireland. 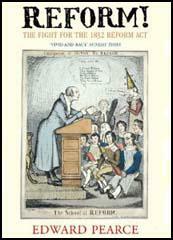 Morpeth held the post for six years and during this time he carried through Parliament several reforms including the Irish Tithe Bill, the Irish Municipal Reform Bill and the Irish Poor Law Bill. George Howard became the 7th Earl of Carlisle on the death of his father on 8th August 1858. George Howard died in 1864. As I have just finished an extensive canvass of the largest constituent body in Britain, and in the progress of it have undergone several courses of interrogation, as well as heard much expression of opinion, it has struck me that it might not be altogether useless if I were to put down upon paper my general impression of the present state of public feeling. Of Toryism I saw and heard nothing, and in large manufacturing districts it is entirely powerless. Of Radicalism I found infinitely less than I expected. I am aware that this is in part to be attributed to employment being less tolerably plentiful, and trade healthy, though not brilliant; distress would soon call into play a large floating mass of discontent. Several political unions attempted a demonstration against me on the grounds of my birth and my not being supposed to carry some liberal opinions so far. The general feeling is very keen in favour of a full measure of Church Reform, but I do not think there is any prevalent wish to destroy the Establishment. Church Rates are the great rock of offence, I should say, more than tithes; but then I speak of a manufacturing district community. The power of the Bishops is not viewed with favour; cheap bread, more corn, a fixed duty of very moderate amount - but these are battles which we manufacturers must fight for ourselves.